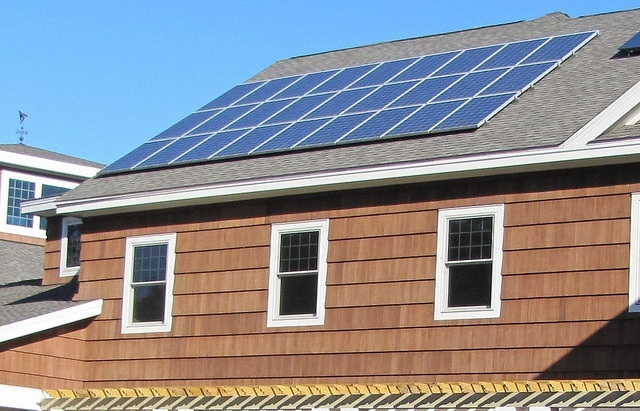 Thanks to the combined efforts of PSEG Long Island and the New York State Energy Research and Development Authority (NYSERDA), two low-interest solar PV loan options are now available to all PSEG Long Island residential customers. It’s not just the traditionally sunny states that are joining the solar revolution, as states such as New York are making great strides in solar, by being a leader in solar production by city (NYC), through shared solar programs, solar incentives, building solar parks at former landfills, and through solar financing. When considering the idea of installing a home solar system, financing the cost can sometimes be a bit of a stumbling block for homeowners, as buying a residential-sized solar PV system outright is a bit of an investment (although a good one). Some customers are turning to solar leasing, which allows them to take advantage of lower electricity bills due to the solar power generated from those panels, without having to put money in upfront. Another method of solar financing, and one that we’ll probably see a lot more of in the years to come, is a solar loan program through the local utility company, which allows customers to repay their loan through their monthly energy bill. The PSEG Long Island solar loan program offers both an On-Bill Recovery Loan, as well as a Smart Energy Loan, through Green Jobs – Green New York, both with three repayment period options (5, 10, or 15 years) at interest rates as low as 3.49%. Both of the solar loans are for amounts up to $13,000 (up to $25,000 if additional standards are met), and can be combined with the Solar Pioneer Rebate Incentive. The Smart Energy Loan is a more traditional financial instrument for homeowners, but the On-Bill Recovery Loans offer something a bit more flexible, which could empower more residential solar installations for Long Islanders. With the residential solar loan through the On-Bill Recovery Loan program, the loan repayments are listed as a line item on their monthly PSEG bill, and Long Island homeowners may be able to cover the entire payment amounts through energy savings. Due to a stipulation of the program, the monthly repayment amount may not exceed the estimated energy cost savings from the solar PV installation, so installing the system should pay for itself through the savings of the system itself. According to PSEG, more than 8700 solar photovoltaic systems have been installed on Long Island since 2000, in both the commercial sector and in residential solar projects, and these two low-cost solar loan options promise to boost that number quite a bit by taking some of the financial bite out of going solar. Join the Long Island solar power rooftop revolution!